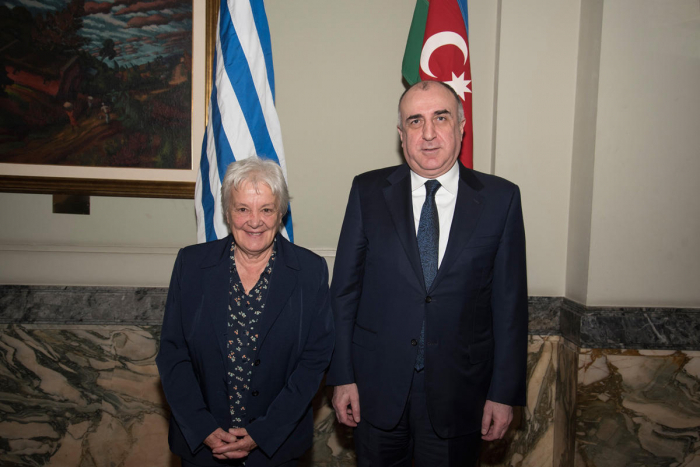 Minister of Foreign Affairs of the Republic of Azerbaijan Elmar Mammadyarov first met the Vice-President of the Oriental Republic of Uruguay, as well as the President of the Senate of Uruguay Lucia Topolansky and then President of the Chamber of Representatives Cecillia Bottino. At the meetings the intensification of bilateral relations between the two countries, in particular the role of the parliament diplomacy was highly appreciated. In this context, it was emphasized that the mutual visits of interparliamentary friendship groups of both countries make a significant contribution to the bilateral relations, Trend reports referring to the Azerbaijani Foreign Ministry. Expressing their satisfaction with the development of cooperation in political sphere between the two countries, the sides highlighted the importance of this cooperation covering as well the economic, energy, transport and agricultural fields. In this regard, starting of importing the Azerbaijani oil by Uruguay was particularly stressed. During the meeting Minister Elmar Mammadyarov gave information about the Armenia-Azerbaijan Nagorno-Karabakh conflict and the current status of the negotiation process of conflict settlement, adding that the provocative actions of the members of the Armenian diaspora in various countries negatively impact the peaceful resolution of the conflict. On the other hand, it was underlined that defending the interests of aggressor Armenia, not the country of their citizenship by these community representatives is hard to understand. Senior officials of the Uruguayan Parliament stated that they understand the position of Azerbaijan on the conflict, and support the resolution of conflicts within the framework of international law.